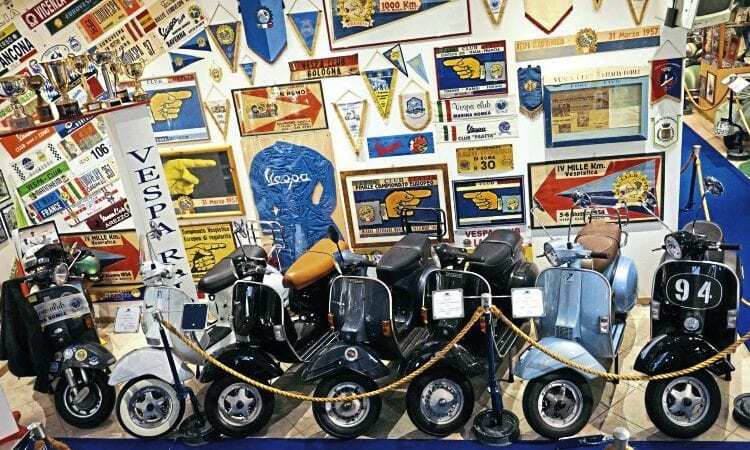 It’s almost a decade since Mauro Pascoli opened his incredible Vespa museum. Stan paid him a visit to see what’s new. 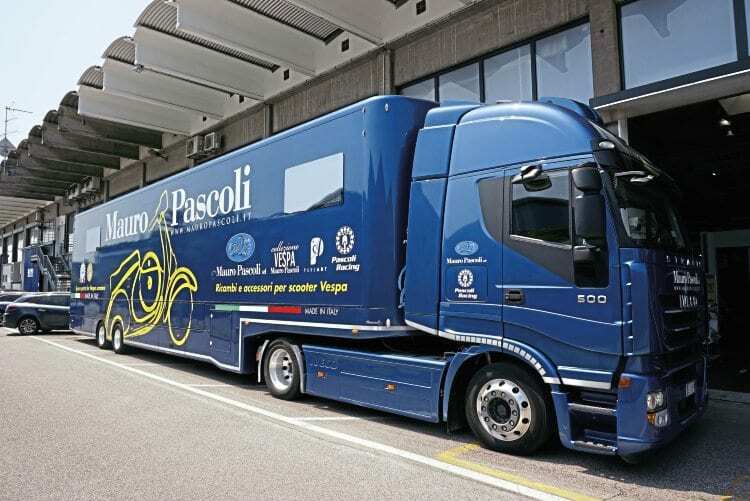 There’s no doubt that Mauro Pascoli is an incredible man. 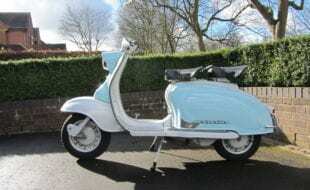 At 15, an age when most of us were struggling with teenage angst, he persuaded his father to act as a guarantor so he could open a bona fide Piaggio dealership. 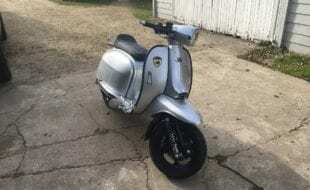 In the lean years of scootering he scooped up new old stock spares from dealerships across Italy and the quality of his remade parts is the stuff of legend. 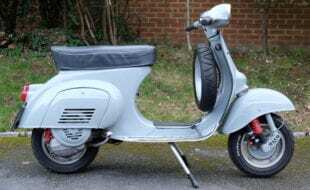 However his crowning achievement is the collection of Vespas he’s amassed over a lifetime. It’s not often I’m lost for words but the volume, variety and scarcity of his exhibits is overwhelming. 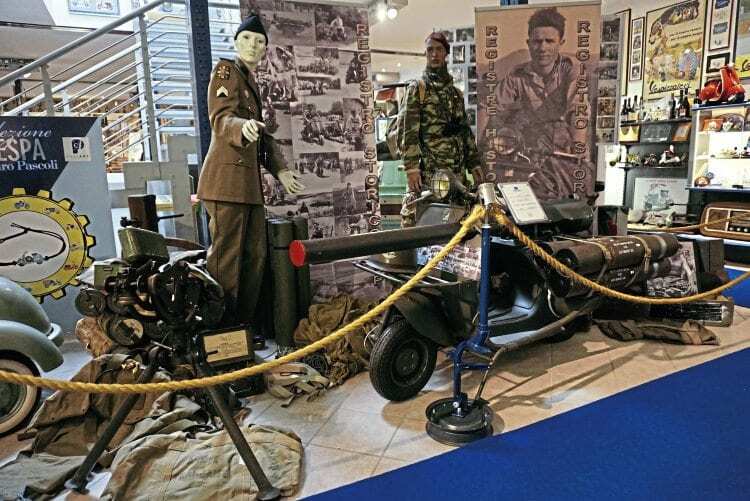 The Mauro Pascoli Collection is a privately owned museum situated on the outskirts of Ravenna, around 80 miles south of Venice. Other than its scale, what separates this collection from others is the imagination used to display the exhibits. 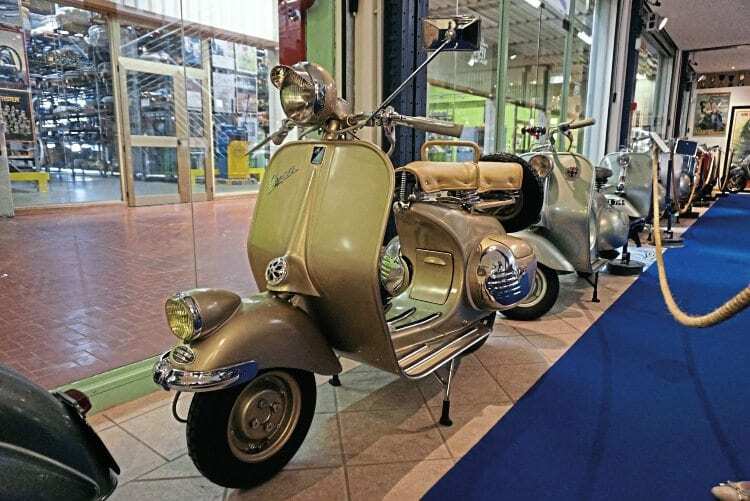 Many scooters are posed with mannequins dressed in period attire while others are surrounded by contemporary objects. 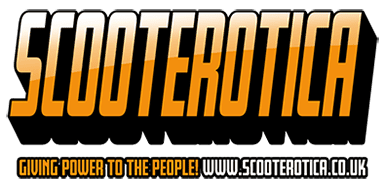 Nothing is out of bounds; toys, costumes, trophies and of course scooters are all included. 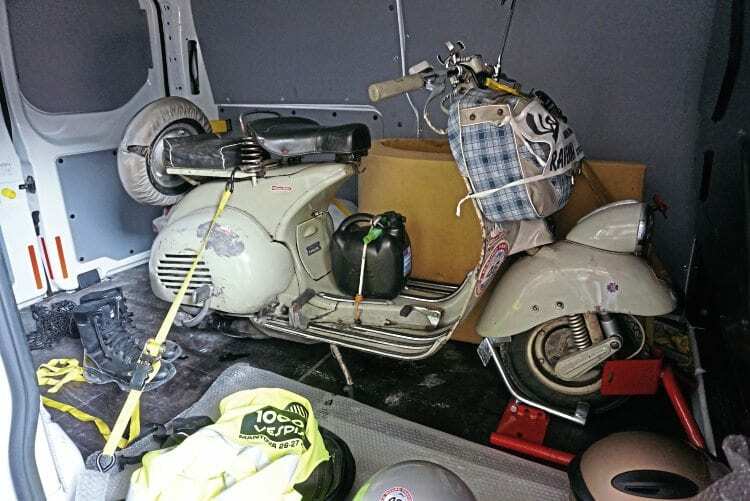 The result is a collection that places the Vespa into a broader context of social history. I’d defy anyone not to find something of interest somewhere on the two floors of exhibits. 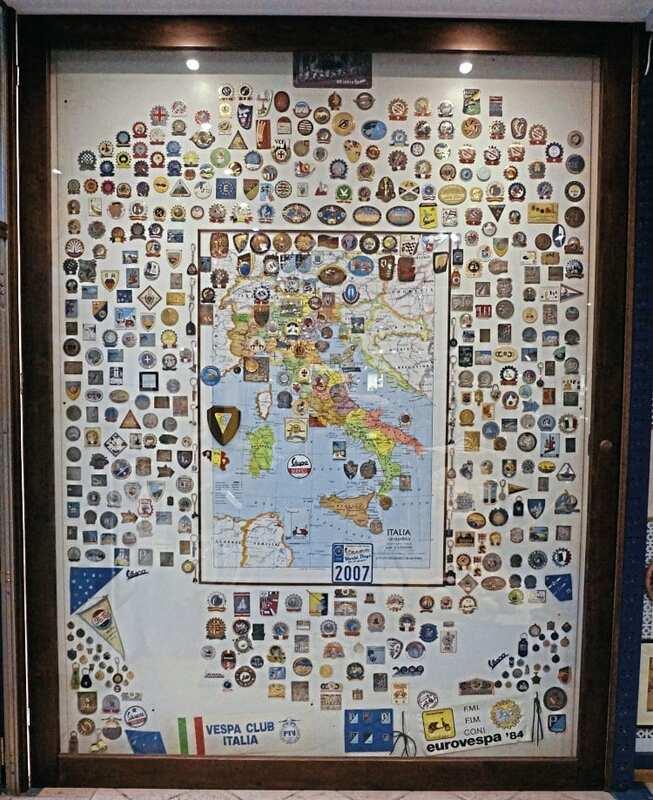 An enviable collection of club badges. 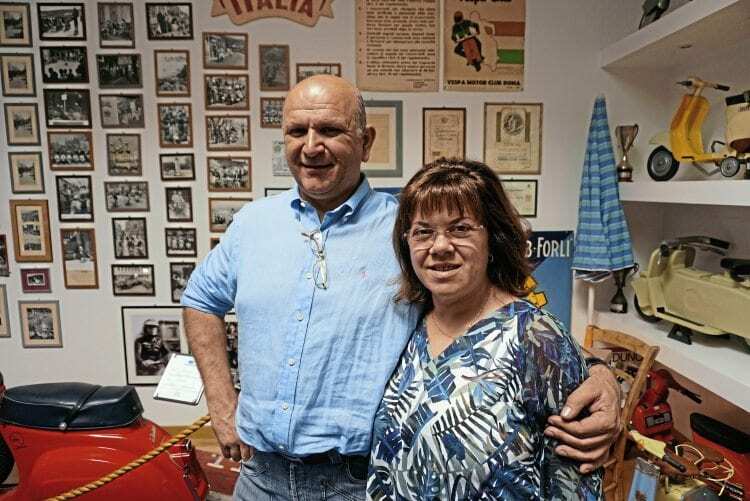 Mauro is actively encouraged in this venture by his wife Loretta. 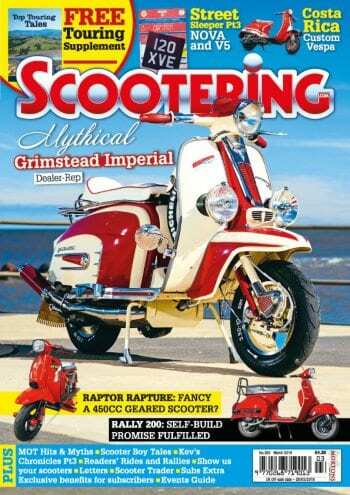 The couple are inseparable, so it comes as no surprise that she’s also a competent rider. Walking around the exhibits the couple share stories about a scooter’s history or an event they used it to compete on. 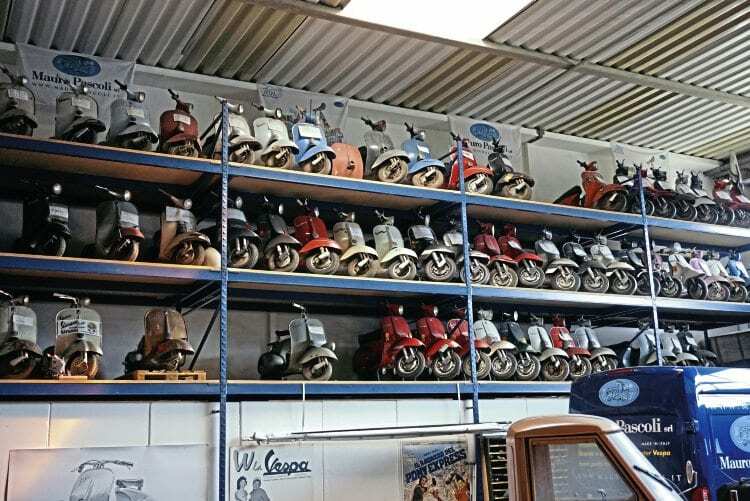 When asked how many scooters he owns Mauro shrugs, he lost count years ago, but what about his favourite? A Douglas promotional piece – who cares about promoting safe riding gear! It may not be normal but it is truly exceptional. 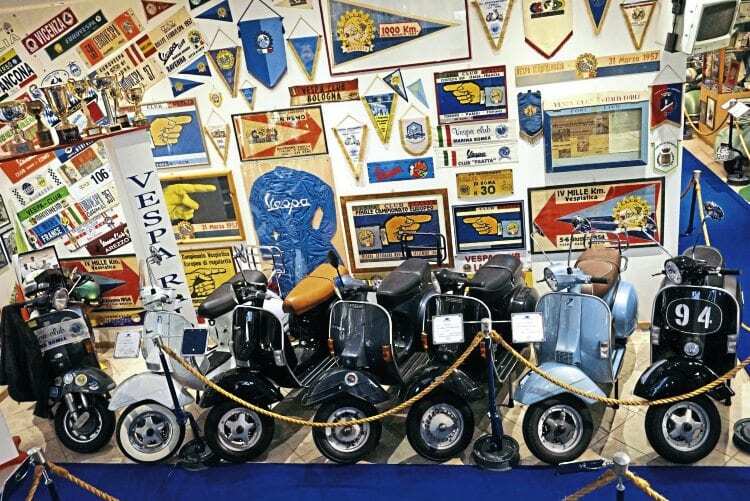 No Vespa collection is complete without an ACMA TAP, though of course, Mauro’s example is surrounded by associated militeria. 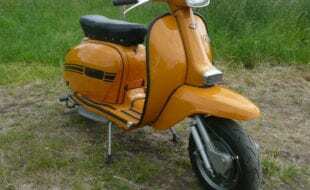 This 1953 (Vm1) 125 Hoffman Koningin is one of the rarest machines on display. A special edition produced by the factory, it features a unique production mix of ‘high’ and ‘low’ lights. 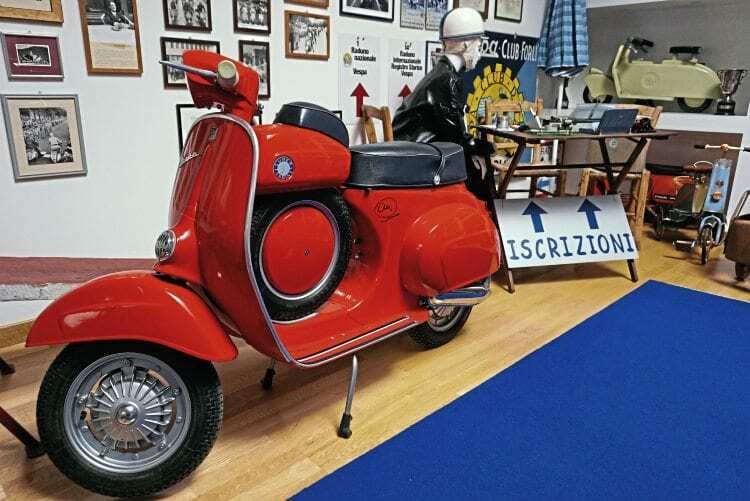 The Pascoli collection is one in a series of museums linked by the Emilio Romagna Tourist Board to form the ‘Terra di Motori’ trail. Running in an almost straight line between Reggio Emilia and Rimini, the collections celebrate the region’s rich automotive history. 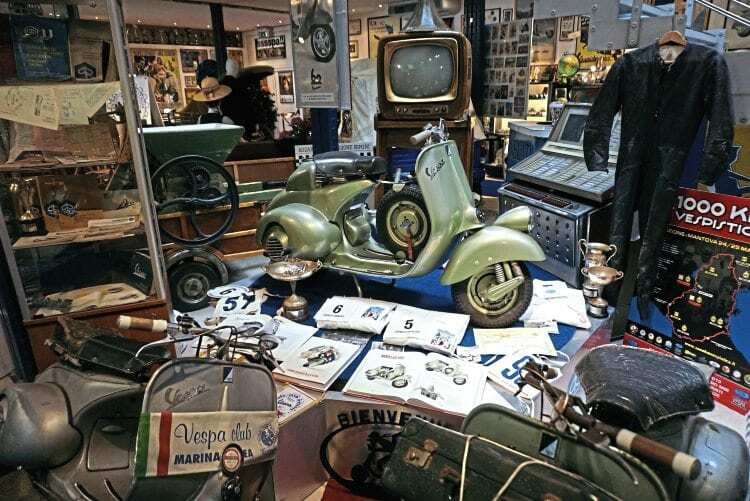 Exhibits range from the earliest motorcycles to the very cream of Italian supercars. Combining the museums with beautiful scenery and excellent food, the 120 mile trail is a perfect excuse for a visit to this region of Italy. Set among a display of objects from the era is this incredibly scarce Six Day Racer. 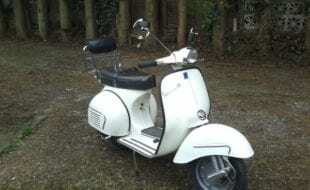 It’s one of the original machines built specifically for the taxing ‘Sei Giorni Internazionale di Varese’ regularity competition of 1951. 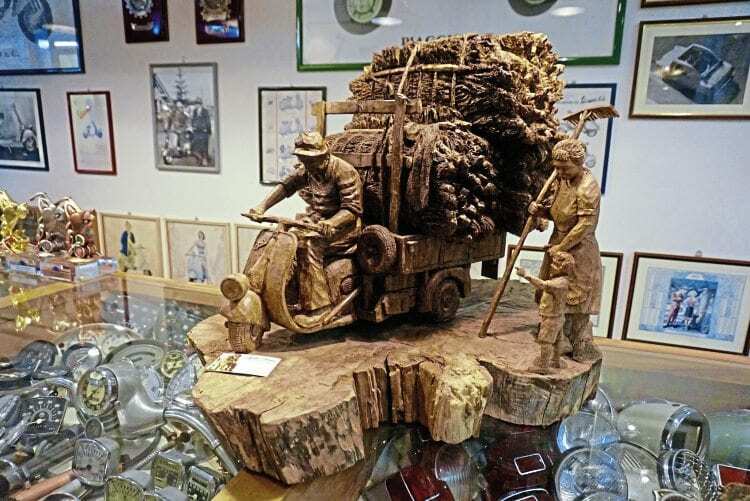 One of Mauro’s prized possessions is this stunning carving of a family bringing in the harvest on their Ape. 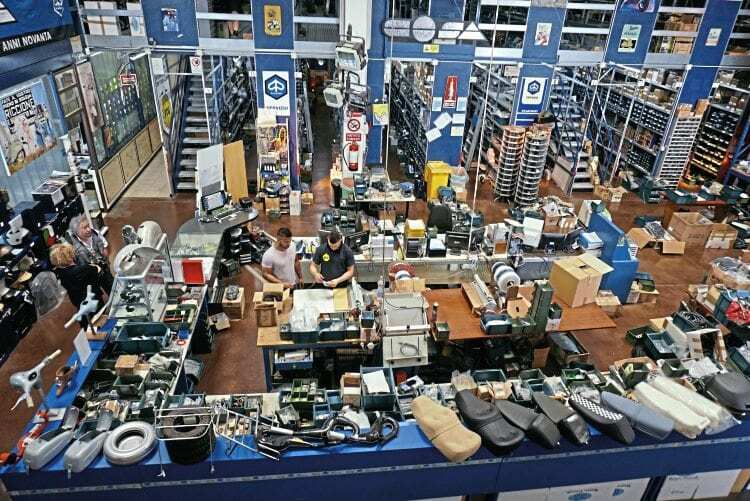 There’s not gift shop but visitors are welcome to visit the warehouse. 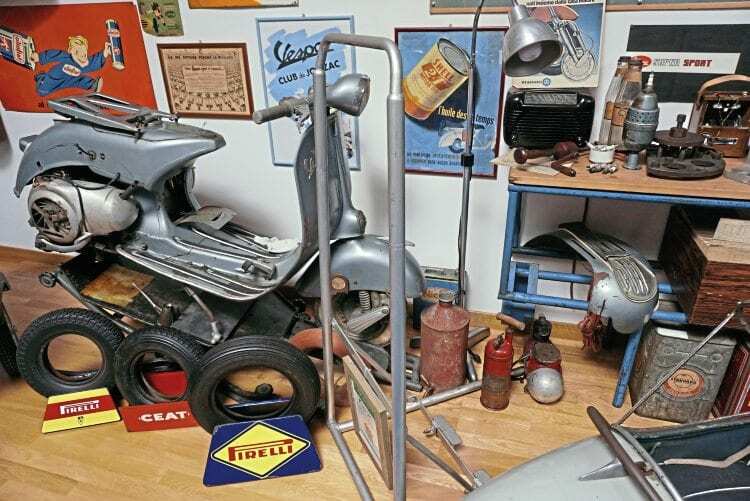 Workshop display – spot the space age plug cleaner. 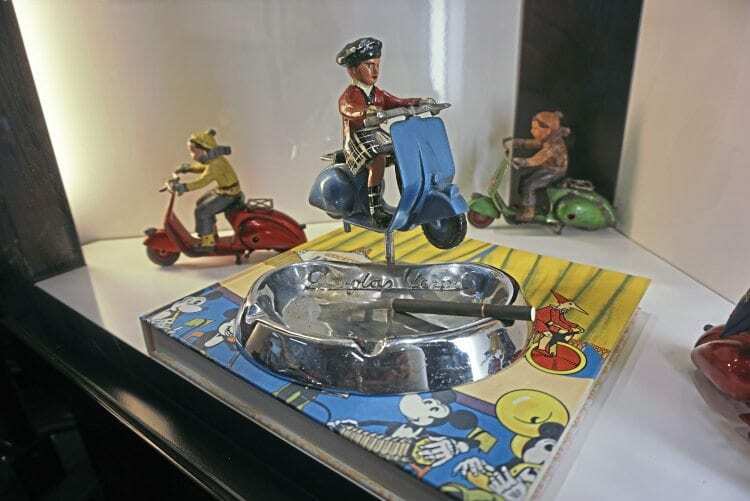 The collection includes a large selection of items previously owned by the Moto Club Teramo. Many museums claim to represent the human dimension of their exhibits but Mauro goes one further. 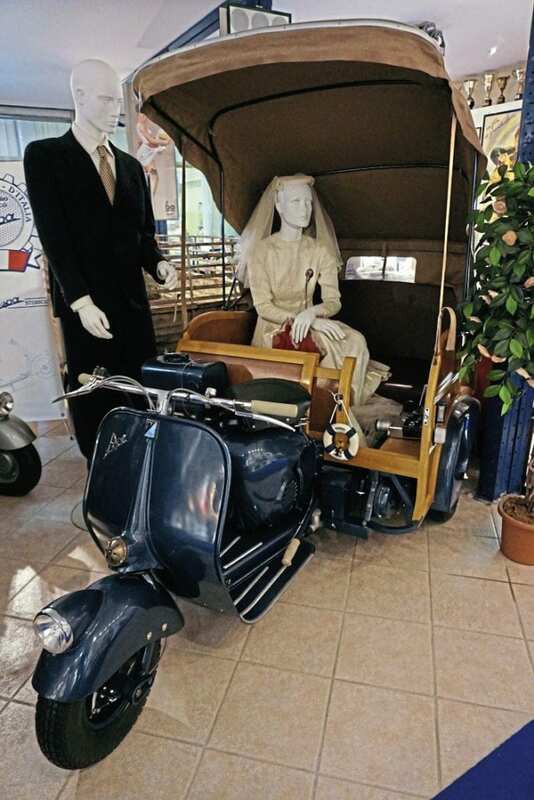 The happy couple in the 1953 Ape wear Mauro’s father’s wedding suit and Loretta’s mother’s wedding dress. The more modern Ape on display was used at the couple’s own wedding. 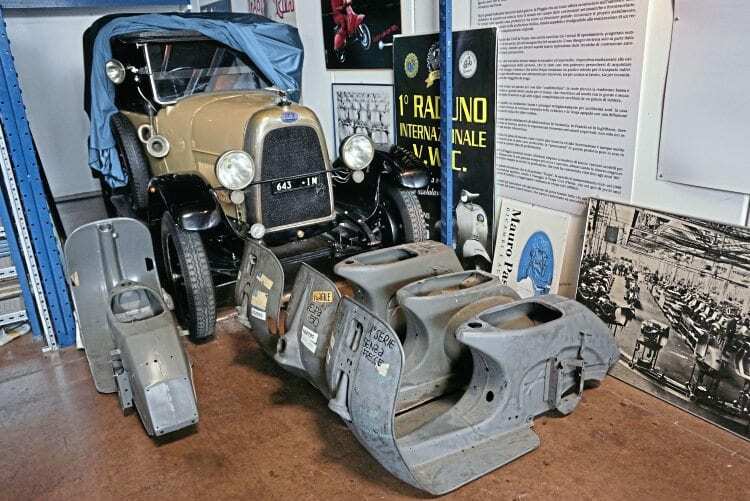 NOS frames and Loretta’s vintage Fiat occupy a small corner of the warehouse. 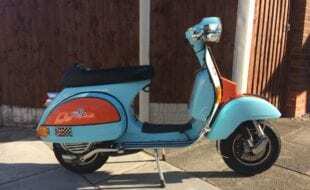 Mauro’s own Vespa, seen here arriving back from competing in the 2017 Mille Miglia. A small selection of the ‘reserve collection’.